Daniel F. Goodman, MD (San Francisco) - Book Appointment Online! We are a full service, comprehensive ophthalmology practice, specializing in corneal disease. Our optometrists are all residency-trained and specialize in the fields of ocular and corneal disease. We utilize the latest equipment for the diagnosis and treatment of eye diseases including Cataracts, Keratoconus, Pterygia, Glaucoma, Macular Degeneration, Dry Eyes. 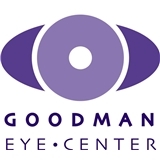 Dr. Goodman has been performing corneal surgery for over 20 years. He is the founder and Medical Director of the Eye Surgery Center of San Francisco, Northern California's largest single-specialty eye surgery ambulatory surgery center. Additionally, we offer refractive surgical correction including LASIK, PRK, implantable contact lenses (ICL), and clear lens extractions. These surgical procedures provide independence from glasses and contact lenses. Our on-site surgical suite is specifically designed for laser vision correction.